All of the devices housed in today’s data centers – from virtualization equipment to storage devices – require cabling that offers high performance and flexibility. Because of this, deploying new fiber infrastructure in data centers requires much thought and planning. In a series of blogs – the first one published on March 23, 2017– we will cover each of these checkpoints in detail, describe current technology trends and the latest industry standards for data center applications. This blog covers checkpoint No. 2: choosing optical link media based on reach and speed. An optical link consists of the optical transceiver and the optical fiber as data transmission media. Typically used in multimode transceivers, VCSEL (vertical-cavity surface-emitting lasers) offer lower manufacturing and packaging costs as compared to edge-emitting lasers. VCSELs can be tested on the wafer level and do not require hermetic packaging. The emission area radius of a typical multimode VCSEL is under 20 µm, and it couples very efficiently into multimode fiber (MMF) with a core diameter of 50 µm. Edge-emitting lasers, such as distributed feedback (DFB) lasers, have a more complex layer structure; hence, they are more costly than VCSELs. DFB lasers require hermetic packaging to ensure laser stability and reliability. The technology seen in photonics integration, such as a silicon photonics platform, allows bonding the single wavelength and multiple wavelength III-V lasers directly to the silicon waveguide, significantly improving production yield and reducing overall singlemode transceiver costs. Designed for large-footprint data center deployment, MSA-type singlemode transceivers, such as CWDM4/CLR4 modules that support 2 km reach in duplex fiber pair, and the PSM4/DR4 modules that support 500 m reach in parallel fiber cable, are already the winners in cloud data centers. Optical fiber is the most energy-efficient, cost-effective physical media for high-speed data transmission. Optical communication systems have been extensively deployed for most telecom and datacom applications. Glass fibers are long and flexible optical waveguides that can be easily bent and routed. Silica is the most common glass fiber material, and can be doped with various materials to raise (e.g. GeO2, Al2O3) or lower (e.g. fluorine, B2O3) the index of refraction. The refractive index of the fiber core is designed to be slightly higher than that of the fiber cladding so the light wave can be confined and transmitted along the fiber core. MMF has a core diameter of 62.5 µm (OM1) or 50 µm (OM2/OM3/OM4/OM5 [wideband multimode fiber]) and a cladding diameter of 125 µm; singlemode fiber (SMF) has a core diameter of 9 µm and a cladding diameter of 125 µm. With the large core size and the large numerical aperture (NA), MMF can tolerate higher fiber connection misalignment as compared to SMF, and operate with low-cost LED- or VCSEL-based optical transceivers. MMF cabling systems are suitable for short-reach interconnects up to a few hundred meters and have been widely deployed in datacom and local area network (LAN) applications. SMF cabling systems, on the other hand, are more suitable for long-reach data transmission thanks to low fiber attenuation and dispersion penalty. It’s also important to note that the low-water peak singlemode fiber is dominant in today’s market to support course wavelength division multiplexing (CWDM) around 1310 nm, and to achieve the lowest dispersion penalty at short to middle reach. Belden can help you make the right choices during a new fiber infrastructure deployment. We’ll help you consider all of these checkpoints to design a data center solution that provides the speed and longevity you need. 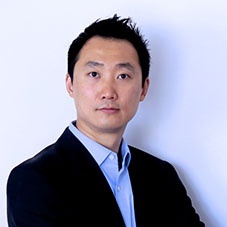 With 13 years of experience in optical communications and photonics device design, Qing Xu is a subject-matter expert in not only optical fiber technology, but also signal transmission, data center trends, fiber/copper connectivity and structured cabling. Joining Belden in 2014, he closely monitors and participates in industry activities related to optical fiber communications systems, data center technology and trends.